After reading through all the bridal magazines and wedding dress websites you can find, it is finally time to schedule an appointment with a bridal store. New York, Paris and Beverly Hills are the places that come to many minds when thinking about wedding dress shopping, but since 2011, wedding gowns Springfield IL brides fall in love with are available at Adore Bridal & Specialty as well. Def: (a-dor) to fall madly in love. We are confident that we can help Springfield IL brides find their dream dresses, and we even put that confidence in our name! When you schedule an appointment with us, you are scheduling an appointment with your own Adore stylist who will understand your style as well as you do. Our stylists connect with each bride before their bridal appointments so they can visualize their brides’ dream wedding looks as well as the brides can! Then our stylists get to work and pull ideas and styles they feel are perfect for each bride. We are even known for finding the dream wedding gown before the bride walks through our door, so let us do the same for you! 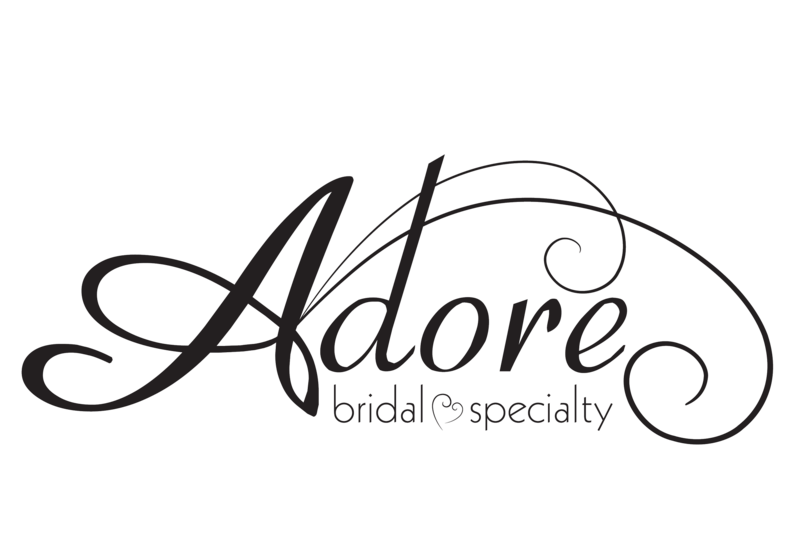 When it comes to the hottest wedding gowns Springfield IL brides can find today’s best designs at Adore Bridal & Specialty. From big designer names, private labels exclusive to Adore and designs straight off the runway, our selection is comparable to none. Since the wedding gown is just one of the many components of a wedding, we also can help our Adore brides complete their wedding looks. We can assist you in finding the bridesmaid dresses, tuxedos, bridal shoes, veils and other accessories that will make your wedding match your personality. Some brides try on hundreds of dresses before finding the right one, or giving up in frustration. Instead of going from store to store and dress to dress, trust us to help you find your dream wedding gown and accessories. To get an idea of what we can offer you, contact us online or call 309-291-0838 to schedule your appointment today.